Nowadays, ontologies are used in a lot of diverse research fields. They provide with the capability to describe a huge set of information contents. 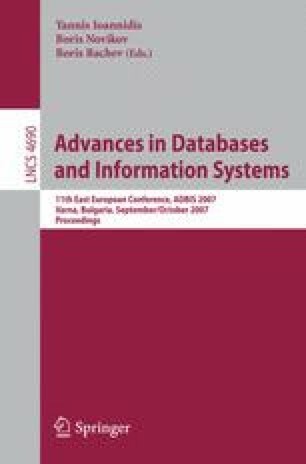 Therefore, several approaches for storing ontologies and their instances in databases have been proposed. We call Ontology Based Database (OBDB) a database providing such a capability. Several OBDB have been developed using different ontology models and different representation schemas to store the data. This paper proposes a data model and an algebra of operators for OBDB which can be used whatever are the used ontology model and representation schema. By extending the work done for object oriented databases (OODB), we highlight the differences between OODB and OBDB both in terms of data model and query languages.